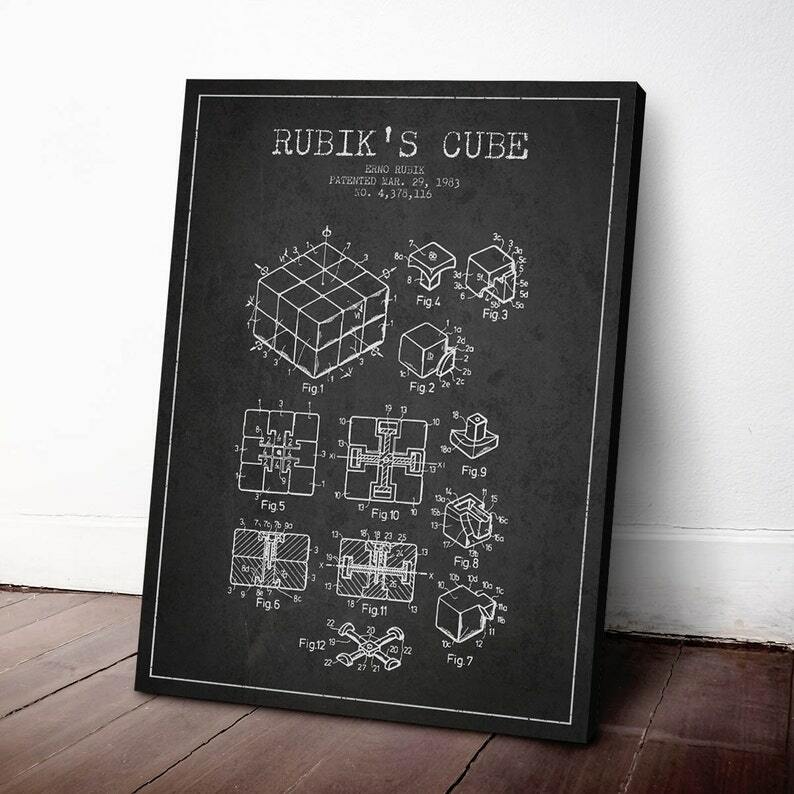 1983 Rubik's Cube Patent Canvas Print. Beautiful canvas print for your home or office. Unlike other artists selling patents online all of our prints are meticulously cleaned and refined, all titles and patent numbers rewritten and they are offered in many different colors.